“Weird Al” Yankovic is going after his record company over some alleged financial funny business. 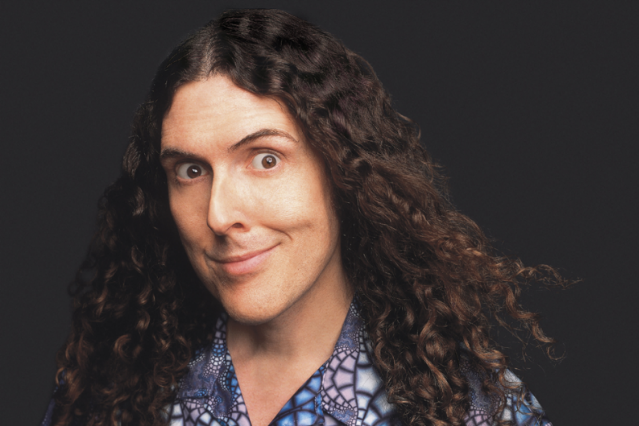 As Billboard reports, Yankovic has filed a lawsuit in New York that claims Sony has taken “improper and duplicate recoupments” and paid him only a “straight royalty” for digital sales. What does that mean? That Yankovic is alleging his label has been unfairly yanking his profits to pay back his advances and skimping on payments for digital sales. The parodist says his label hasn’t forked over a dime it received from winning those lawsuit settlements that have been coming from Napster, Kazaa, and Grokster over the past few years, either. Yankovic’s Ear Booker Enterprises is looking for a total of $5 million in back payments. One major concept at dispute here is the idea of a “download”: When a song is sold without a physical package, should he/she receive a royalty payment or a licensing fee? One of the lawyers on the “Weird Al” suit has won a case very similar to this for Eminem’s former production company. The Eminem suit determined digital music should be treated as a license, which equates to a 50 percent payment rate — a significant jump over the 12 percent an artist typically receives for a sale. The payment rate for digital sales is mostly a question for artists with contracts that predate 2000 and lack language specific to the digital realm. Yankovic’s suit also points out that Sony secured a revenue-sharing deal a few years ago with YouTube, yet while his “White & Nerdy” video has racked up 70 million views, he hasn’t seen a dime in compensation for the distribution of his music. We look forward to the potential of an attorney citing this “White & Nerdy” example in court.